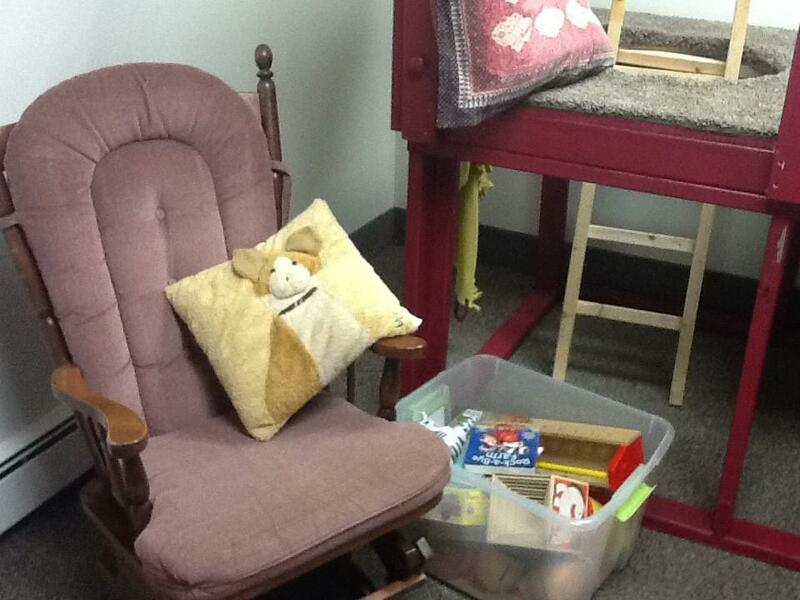 A cozy, private playroom including a nursing rocker, sofa, play structure, and toys. Rest room and water nearby. As a milk bank, all staff are supportive of breastfeeding and families. Milk donors and other nursing moms are welcome to stop by to nurse or pump.